Posted in History of Printing. 8vo, xvi, 114p. 11 plates. Blue cloth, gilt lettered to spine. 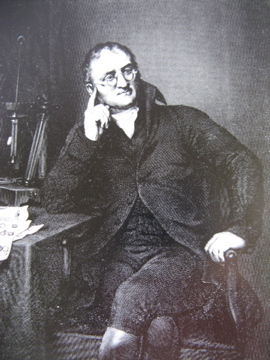 A bibliography of works by and about John Dalton – English Chemist, Meteorologist and Physicist, acclaimed for his pioneering work on early atomic theory and research into colour blindness. Ink stamp of the Guildford book dealer, Thomas Thorp to the front paste-down, otherwise a very good, clean copy. 11p. 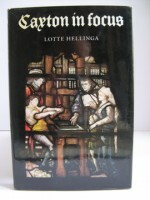 Colour printed card wrapper. Registration Form laid in. 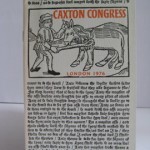 Caxton in Focus: The Beginning of Printing in England. 1st. 4to. 109p, Illustrated. 6 col. Plates & 52 figures. Hard boards, gilt lettered. Colour printed illustrative d/w.